We went to Xinjiang because our then eight year old wanted to travel the Silk Road. In the days of Empire, Xinjiang was the first stop outside China for pilgrims and traders. Now, in the era of the People’s Republic, it is the last province before the steppes and republics of Central Asia. In Xinjiang, the water tables are buried deep. The winters are cold, the summers burning – a geography perfect for forcing fragrant grapes, tiny heady perfumed roses, and the saffron yielding crocii that carpet the mountains during the brief snow-fed springs. Yes, even then during that summer, political unrest was already brewing. Our Uighur tour guide, for example, had rejected a government job to do something “more meaningful” he said. He insisted on using local time, not the official Beijing Time that saw children rising to go to school three hours before sunrise. And, he told risque political stories. We worried, that one day we would see his picture in the newspaper, a dissident carried off to jail. But we went to Xinjiang before the riots, the killing and the curfews. Our Xinjiang was a desert echoing with the sounds of the hundred ethnicities that criss-crossed it on their way across the desert. Of caves filled with paintings of Buddhists who looked like Greeks, and South Indians, and Tartars and Chinese. Of streets where atheists, Communists, and Muslims walked, their faces a Central Asian fusion of the people gone before. 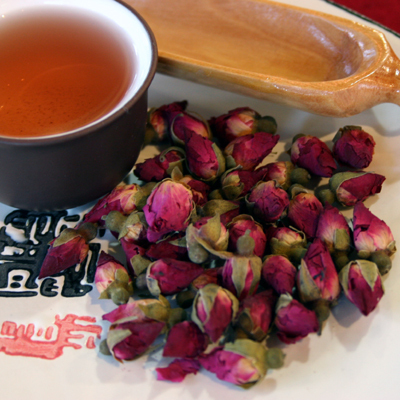 And in the bazaars was the scent of raisins, roses, and saffron – Xinjiang distilled. This is what I remembered as we sipped last night’s tea. A smell that lingers after centuries. And hopefully will remain like a blessing above this hauntingly beautiful place, despite the guns. The poem’s pace and layout – exquisite.